Australian residential property is a unique asset class and one of the best performing asset classes both locally and globally. 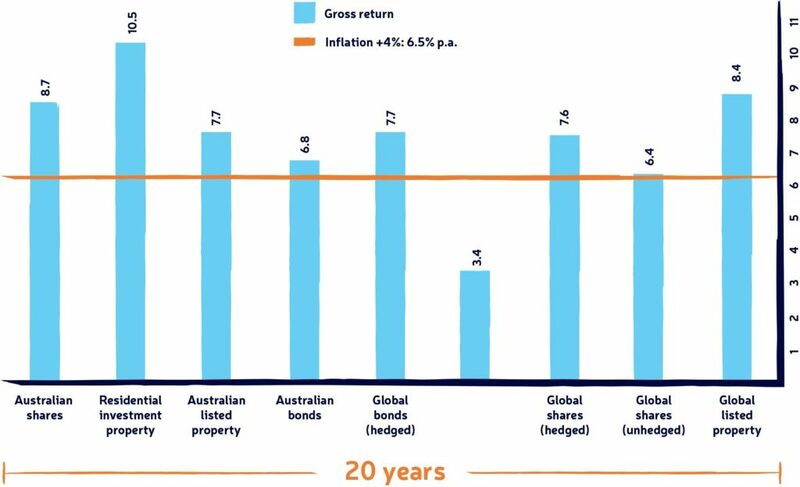 In an analysis of long-term returns over the last one hundred years residential property has delivered an equivalent rate of return after costs to Australian shares with far less volatility. Both asset classes have clearly outstripped bonds and cash. The following is an excerpt from the ASX and Russell Investments 2016 Long-term Investing Report. Most asset classes returned above CPI + 4% pa with the exception being cash and unhedged global shares. The stronger twenty-year results compared to ten years reflect the stronger share and bond markets domestically and globally in the first decade of the twenty-year period to December 2015, while the second decade saw greater volatility and market correction, including the global financial crisis. Comparison across asset classes on a before-tax basis: twenty years. 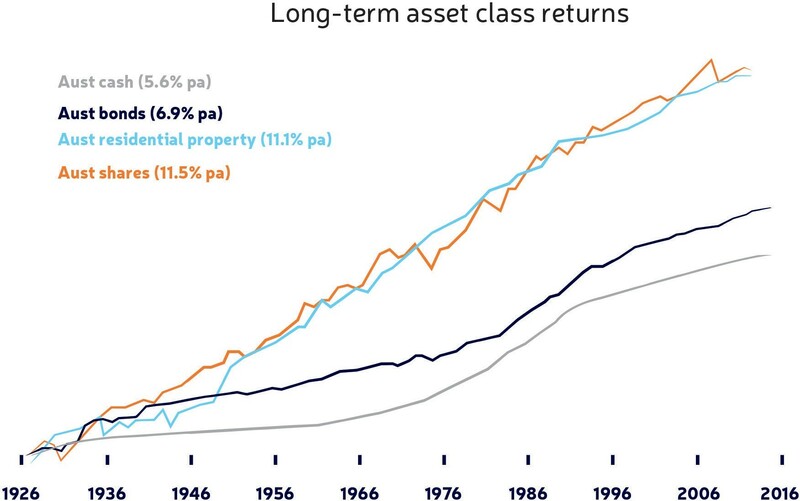 Australian shares and Australian residential investment property continued to share the top two performing asset class positions, with Australian shares returning 8.7% pa and Australian residential investment property returning an even better 10.5% pa over the twenty-year period. Global listed property (unhedged) was third and returned 8.4% pa over a twenty-year period. Global shares (hedged) came next, returning 7.6% pa over a twenty-year period. Its unhedged counterpart global shares (unhedged) returned 6.4% pa. Hedging added an extra 1.2% pa over the period. Global bonds also performed well returning 7.7% pa over the twenty-year period. Its domestic counterpart, Australian bonds, returned 6.8% pa.
Australian listed property finished with7.7% pa and cash returned 3.4% pa.
All asset classes beat inflation, which stood at 2.5% pa over the twenty-year period. It is important to mention that these comparative returns are all on an ungeared (cash) basis. This means that when ordinary gearing is taken into account for property, the returns on equity far outstrip anything the other sectors can offer.